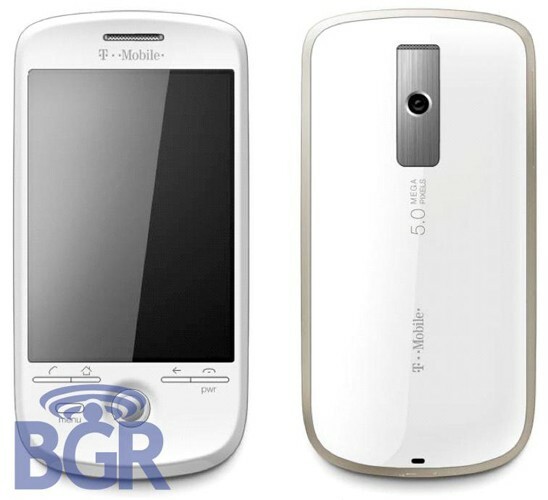 T-Mobile's Magic / Sapphire / myTouch / G2 getting 5 megapixel cam? It's pretty unusual for a manufacturer to take a global model and swap out a component as significant as a camera for one carrier, but it looks like that might just happen with T-Mobile USA's myTouch -- or G2, or Magic, or Sapphire, or whatever the heck it ends up being called. Boy Genius Report's leaked picture of the back of the carrier-branded handset prominently says "5.0," and since it's safe to assume it's not packing a 5.0-liter V8, this is probably referring to sensor res. That would be a marked upgrade from the 3.2 megapixels launching on the Magic everywhere else -- and interestingly, this kinda falls in line with T-Mobile USA's seemingly active effort to launch high-megapixel devices across the lineup over the past several months. This is more solid evidence than a spec sheet -- since spec sheets have a tendency to be filled with fallacies and typos -- but we'll hold off on saying this is a lock until the phone launches. T-Mobile's Magic / Sapphire / myTouch / G2 getting 5 megapixel cam? originally appeared on Engadget on Fri, 08 May 2009 15:12:00 EST. Please see our terms for use of feeds. May 8, 2009 by Ben Pike.